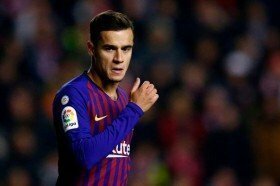 Liverpool manager Jurgen Klopp has dismissed the recent speculation which has linked Philippe Coutinho with a potential comeback from Barcelona. The Brazil international has bagged 16 goals and 11 assists for the Blaugrana since his switch from Anfield last winter but his future has been under question amid his inability to command a regular starting role under Ernesto Valverde. As such, he has recently been linked with a potential return to the Reds but Klopp has rubbished the speculation saying: "Nothing to say. Phil is at Barcelona and as I know he fits really well and everything is fine." The Reds have been touted to pursue another attack-minded player in the transfer window but it appears that Klopp is content with the options at hand for the campaign. Based on this, the German may wait until the summer to reshuffle the squad and only a major injury crisis in the attack front could translate into the club spending this month.